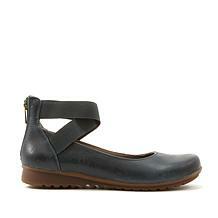 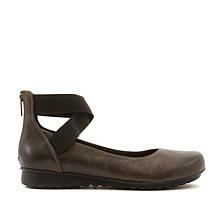 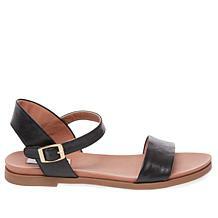 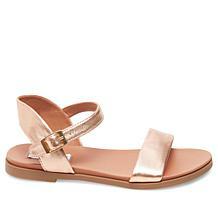 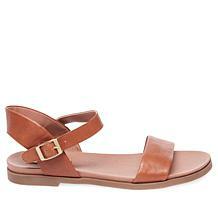 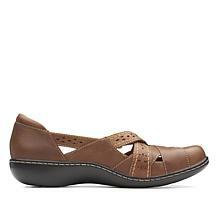 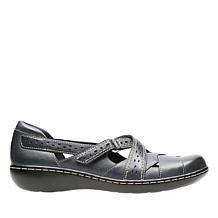 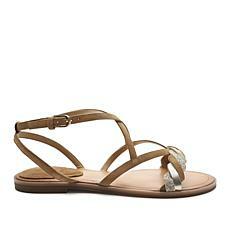 Tahari Passage Gina Leather Flat Sandal with Flower Accents Ka-bloom! 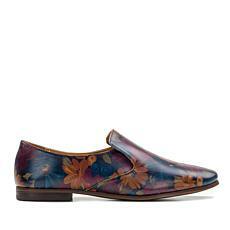 Floral prints and patterns are exploding on the fashion scene this season. 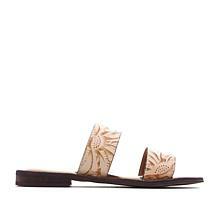 Plant your feet firming inside these flower-adorned, leather flat sandals and watch your sense of style blossom into a high-fashion, signature look. 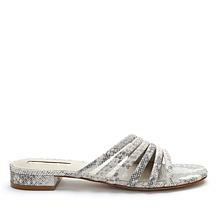 Welcome the warmer weather with style and sparkle. 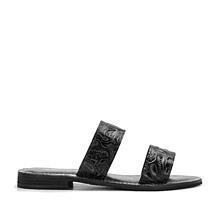 These strappy leather flat sandals feature a chic, braided design with goldtone leather accents that shine just enough to take notice of your pretty, painted-on pedicure. 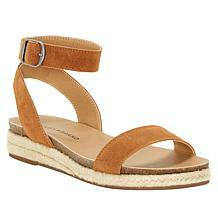 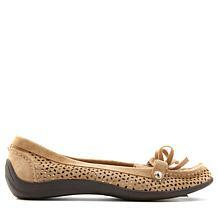 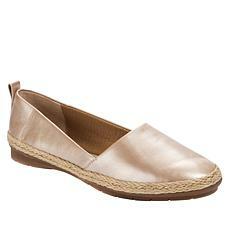 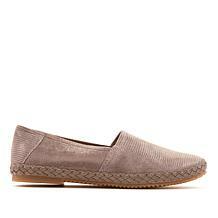 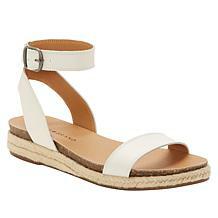 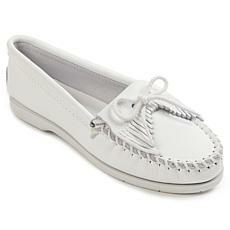 Give your warm-weather looks a haute touch with Lucky Brand's Garston espadrille sandals. 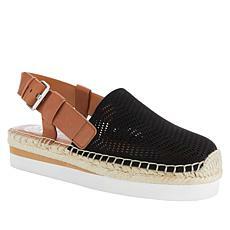 The braided jute flatform and slingback style pairs perfectly with a maxi skirt and a cute tee knotted. 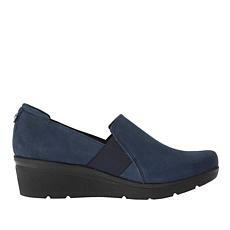 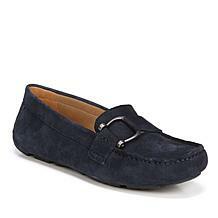 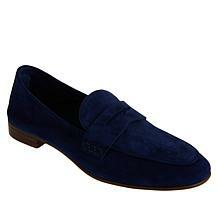 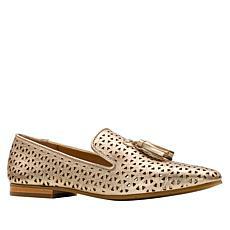 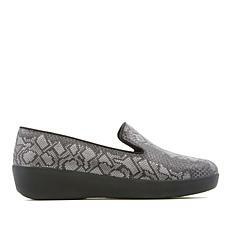 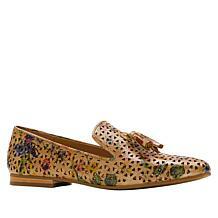 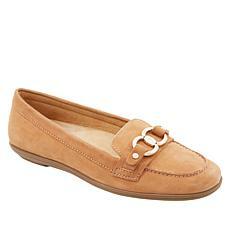 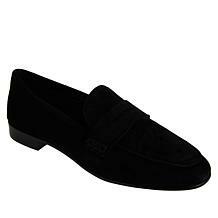 Exquisite style in a statement shoe worth loafing around in. 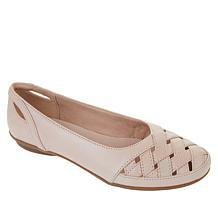 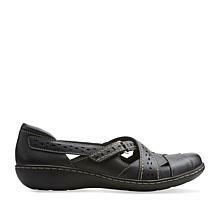 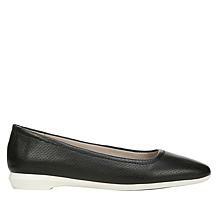 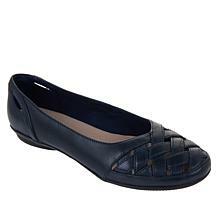 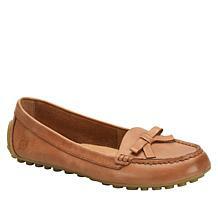 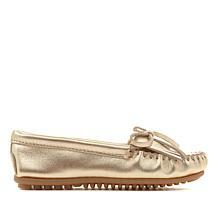 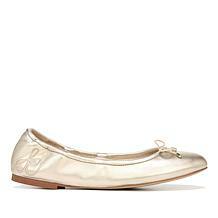 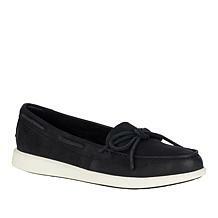 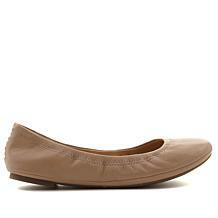 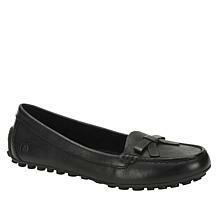 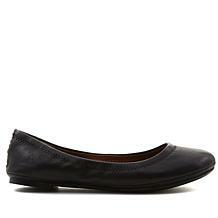 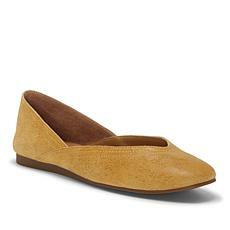 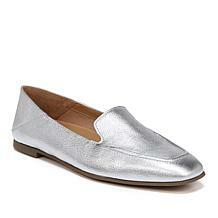 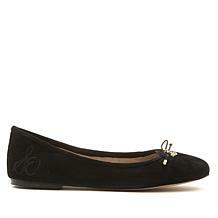 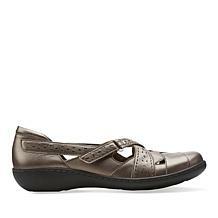 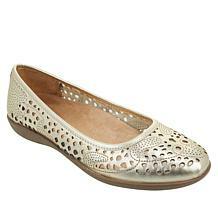 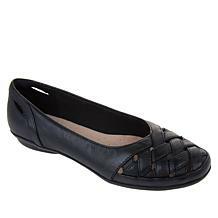 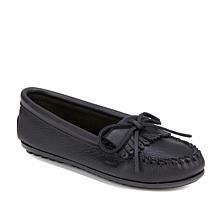 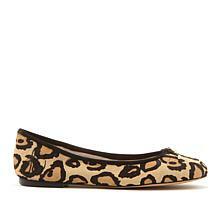 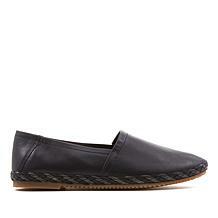 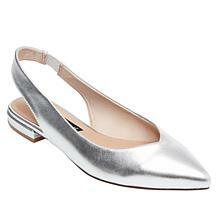 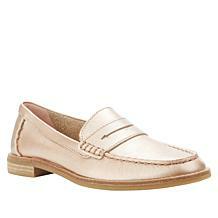 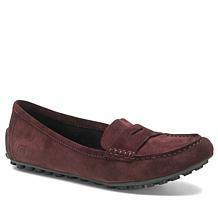 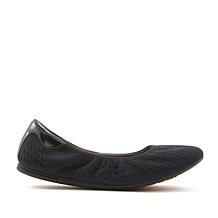 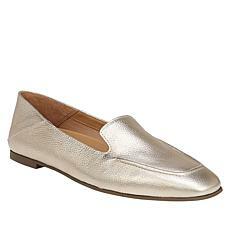 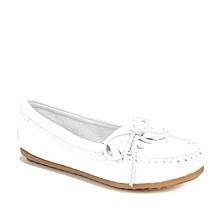 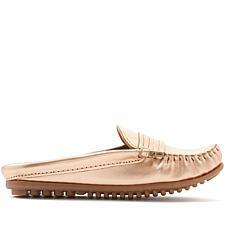 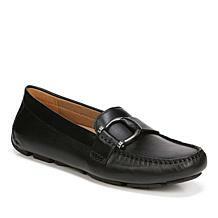 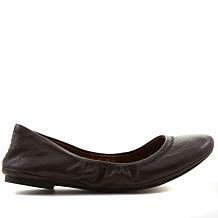 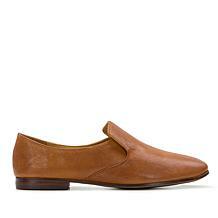 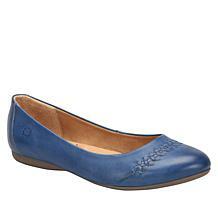 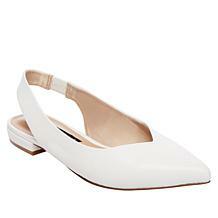 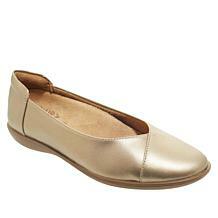 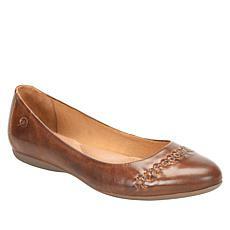 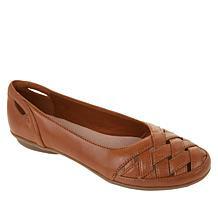 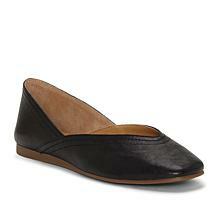 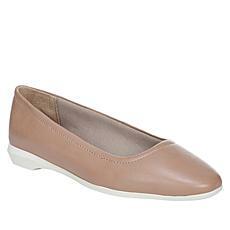 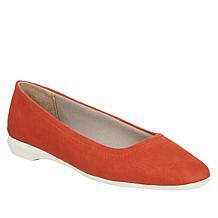 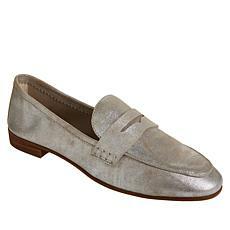 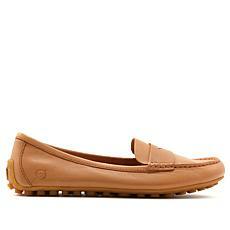 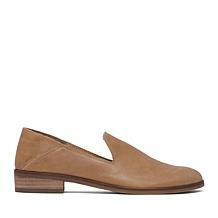 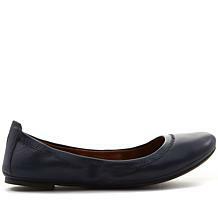 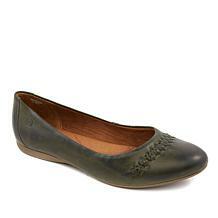 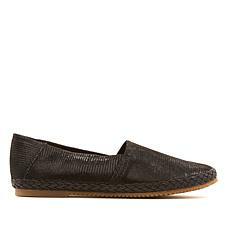 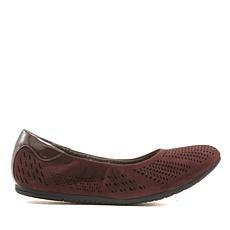 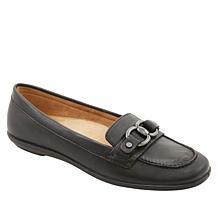 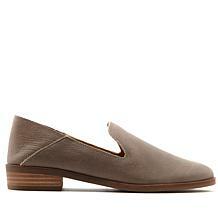 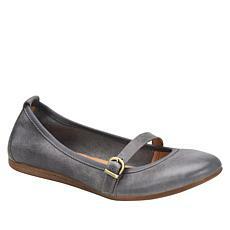 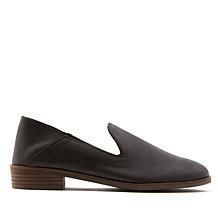 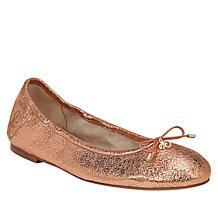 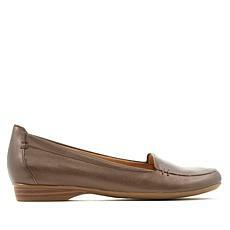 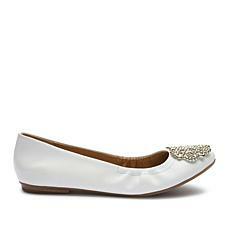 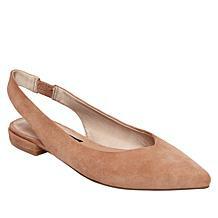 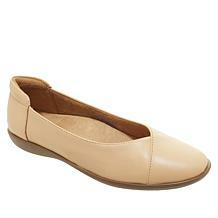 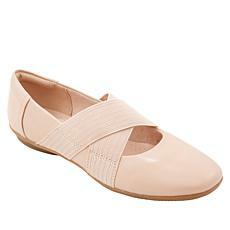 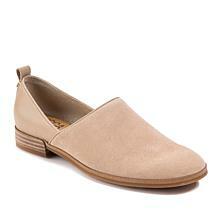 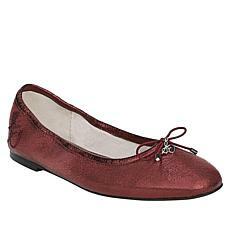 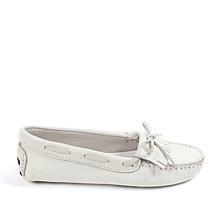 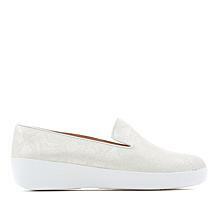 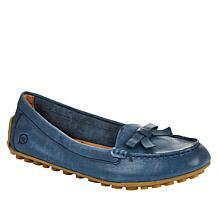 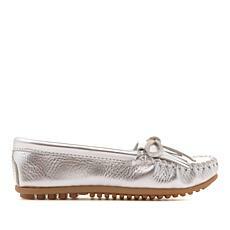 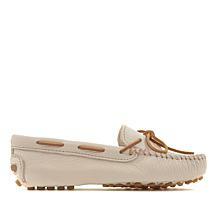 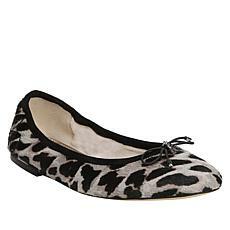 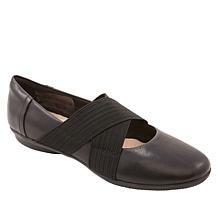 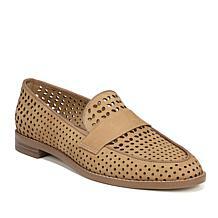 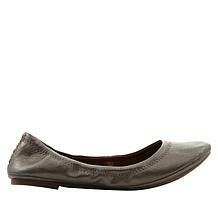 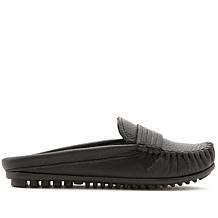 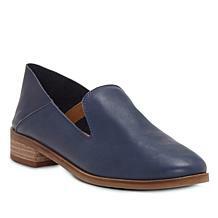 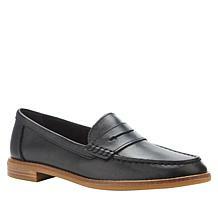 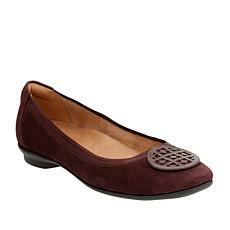 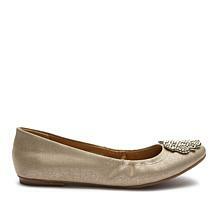 This leather flat makes up for high-heel options by giving you a seamless, sophisticated look. Add a bit of menswear with a quirky twist. 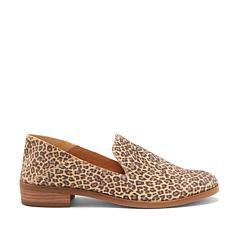 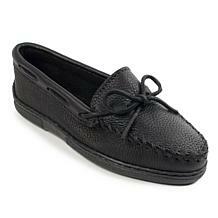 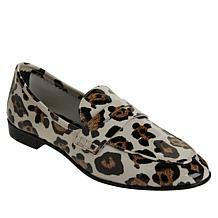 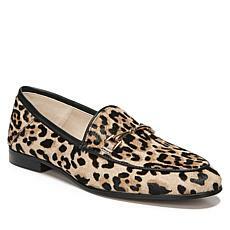 Leopard-print brahma hair uppers edged in black leather says wow. 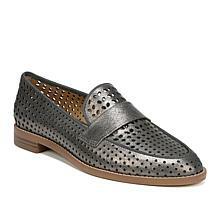 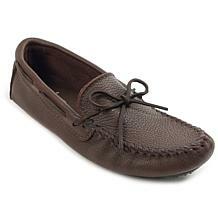 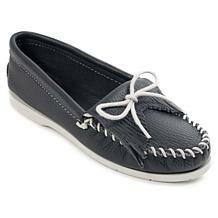 The combination promises to spice up an outfit — and certainly the season — with its sophisticated, head-turning style. Originating as a high-performance shoe with a reliable grip for driving, the driving moc is a staple for the fashionable lifestyle — on or off the road. 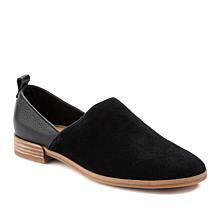 Handmade from soft, genuine leather, this slip-on features cushy nub bottoms that are ultra flexible and will keep your feet feeling great all day. 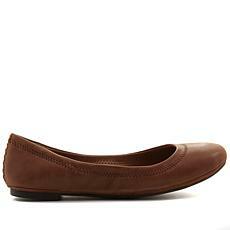 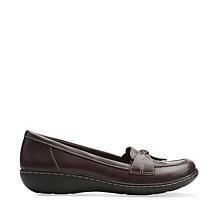 Endlessly practical, comfortable, and versatile, HSN's line of leather flat shoes is your new go-to for fashionable footwear. 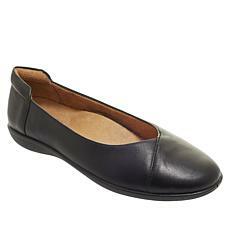 From flat slip-on sandals to classic ballet flats, you'll find the exact shoe you're looking for (and maybe an extra pair for good measure). 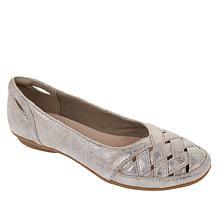 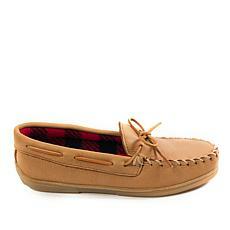 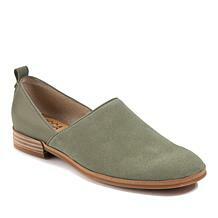 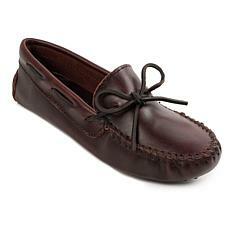 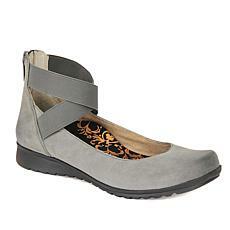 Browse our nearly endless selection of shoes that look and feel terrific. 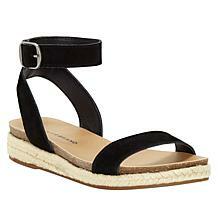 A pair of black, studded leather sandals adds an edgy, downtown accent to a pair of jeans or a simple black dress. 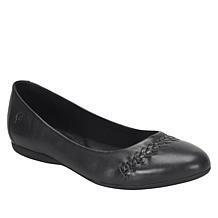 A floaty floral dress is further elevated by a pair of solid ballet flats accented with a crystal-studded decoration for a true Cinderella effect. 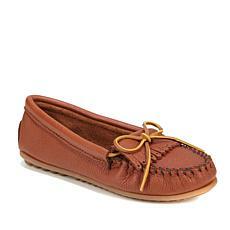 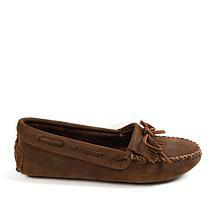 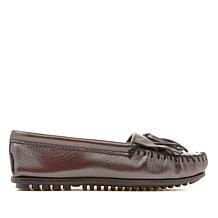 A timeless pair of Minnetonka moccasins is a playful, stylish option to pair with leggings, a skirt, or even a cute pair of shorts. 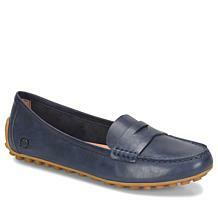 A cool pair of skinny pants makes for a great collaboration with our leather flat shoes. 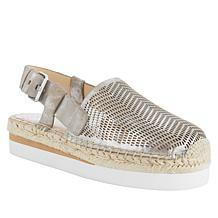 Go for instant luxe with a pair of suede pants, or choose a knit skinny pant with a white accent stripe down the leg for a sporty, modern look. 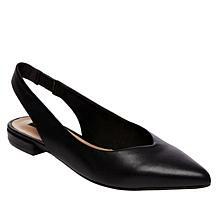 Another hot trend, the midi skirt, is a fun and functional way to add some panache to your everyday work wardrobe. 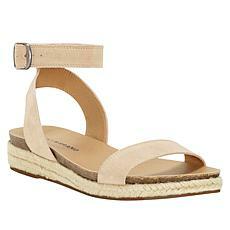 Add a pair of strappy sandals to a gingham circle skirt, or a breezy espadrille with a pleated skirt.